The Dodge Charger was a little hatchback with a grand name - but it wasn't until Carroll Shelby got his 10-gallon hat involved that things got fun. The base Shelby Charger was a hot-hatch Charger -but the real tire burner was the Shelby Charger GLH - which stands for Goes Like Hell. 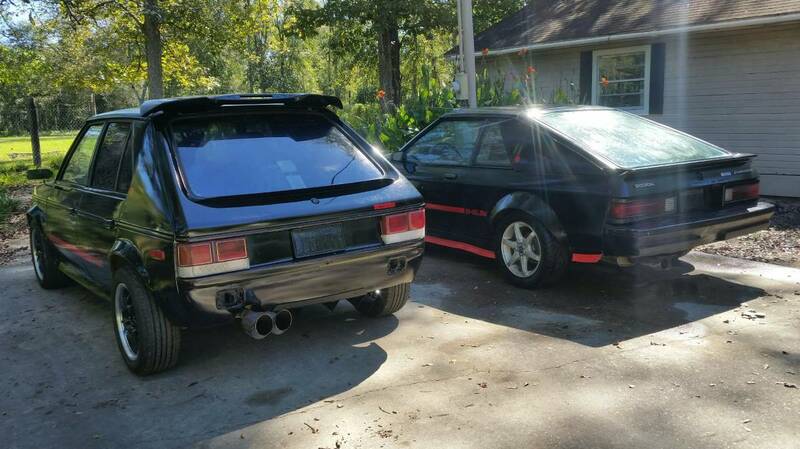 Today we've got an interesting his & her set of Shelby Turbos. Find this 1985 Dodge Shelby Charger and 1986 Dodge Shelby GLH Turbo offered for $6,500 near Houston, TX via craigslist. Tip from Jeff. Something happened to my original ad so I'm posting it again. 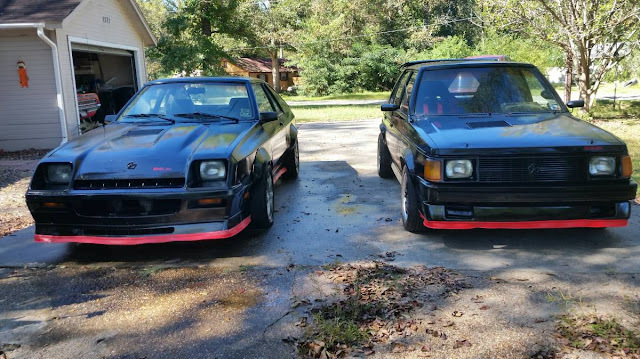 I have an 85 Shelby Charger turbo and an 86 Shelby GLH turbo. They both run and drive fantastic. Turbos spool very well for good boost. The Charger has the standard Stage1 turbo system without the intercooler and the GLH has the Stage2 turbo system with the bosche multi point fuel injection, intercooler and aftermarket blowoff valve. I left the engine the way is was painted and looked back when It was raced. The Charger has its original interior in very nice shape though slightly faded with a nice large removable sunroof. I gutted the GLH and installed an all new interior, with new racing seats, harnesses with harness bar. All new gauges, short shifter with carbon fiber accents. I do have a clear Texas title for the Charger and was in the process of making it into a nice cruiser. The GLH doesn't have a title so I was setting it up as a autocross track car. Both cars have the front cross drilled disk brakes. My name is Eric, feel free to call me with any questions. Really kind of depressing. POS when new. Now knackered POS. Does the asking price include the doublewide? His and Hers, The misses would be stoked! I drove a Shelby Charger for a while. It was about as reliable as you'd expect a nearly 10 year old K car with an aftermarket alarm and stereo to be.